Finally, a layout. I don't think I've done one since the ones I did for the HKMC May Kit Club. I just had to find time and do one layout, and boy, did I go all out. You know I love my Prima, so here's one with one of their 2013 releases - Lyric. I just fell in love with this line (as with the other Prima lines). It's a great mix of romantic, flowers and music notes. 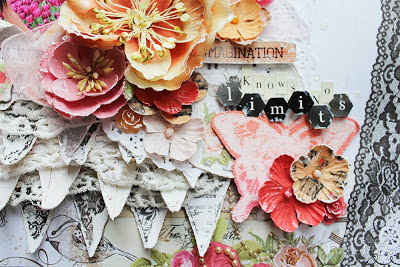 Gorgeous Prima Lyric papers and embellishments. 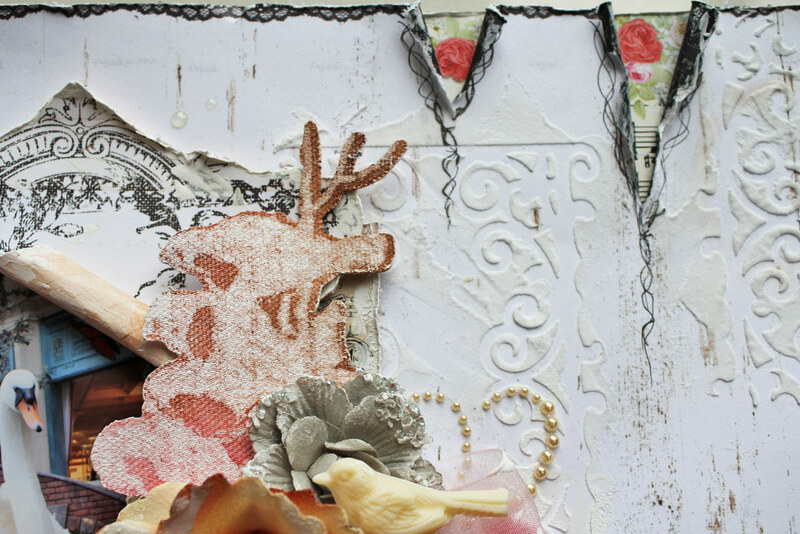 I fussy cut banners with beautiful lace for multi-dimensional layers. The butterflies were spritzed with pinks and oranges. I covered most surfaces with smudges of white crackle paint. 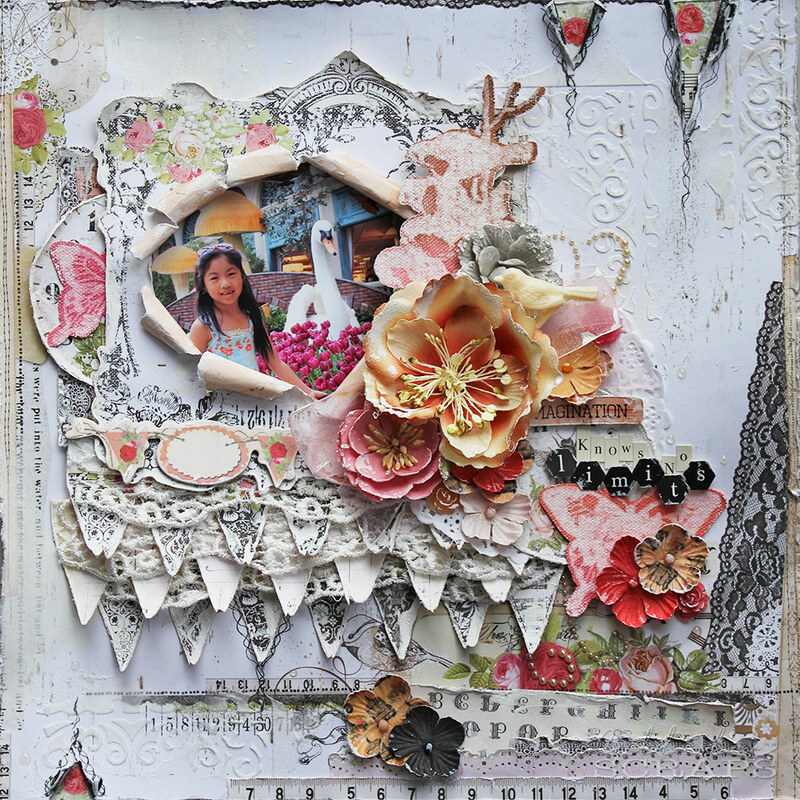 I used light modelling paste with a Prima mask to create the background. 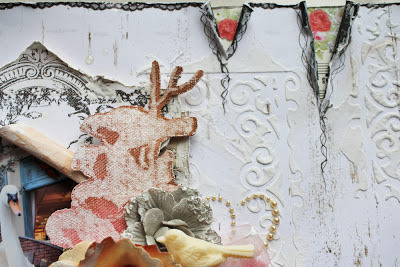 For the ripped edges, I backed them with some of the music/rose paper and also did a bit of doodling. 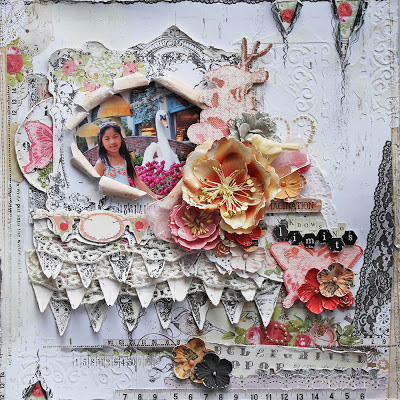 I finished off the layout with Glossy Accent "water droplets". 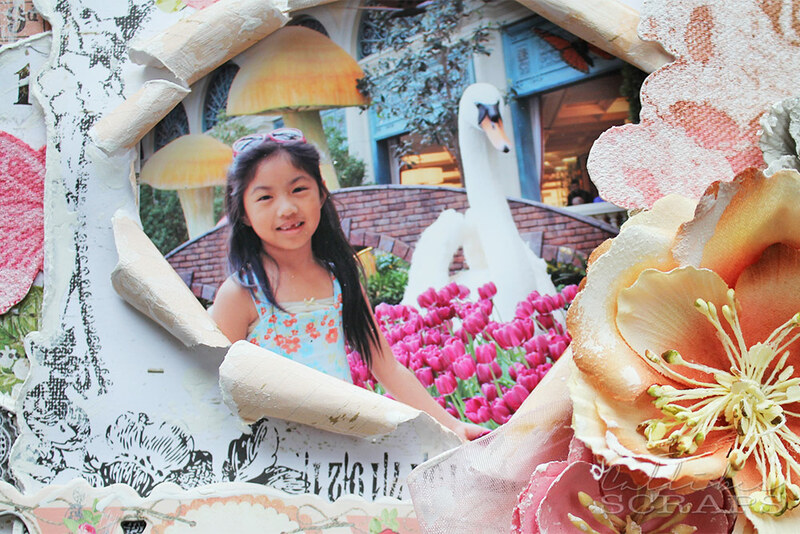 I cut out one of the frames and ripped/rolled a large hole in the middle to frame the photo. The photo was taken in at the conservatory of the Las Vegas Bellagio hotel.